The voice control feature on the iPhone, called Siri, is often one of the first things that a new iPhone owner will experiment with when they first get the device. 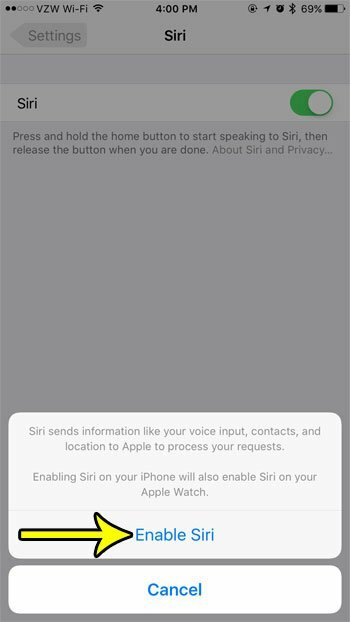 But if you were having trouble with it, or if you chose to skip the Siri activation when you first set up the device, then you may have discovered that Siri isn’t actually enabled on your iPhone. Fortunately you can toggle the Siri setting on or off at any time. 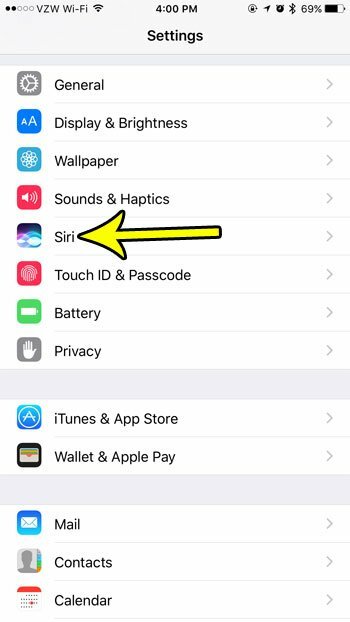 Our guide below will show you where to find the setting that controls whether or not Siri is enabled on your device. Once you have chosen to turn it on you will be given a few more menu options that let you choose what you would like Siri to do, as well as how it sounds. The steps in this article were performed on an iPhone 7 Plus in iOS 10.3.3. Note that if you have an Apple Watch that this will also enable Siri on the watch. Step 2: Choose the Siri option. 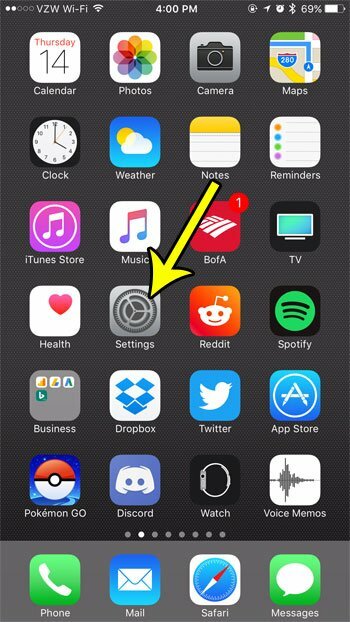 Step 3: Touch the button to the right of Siri. 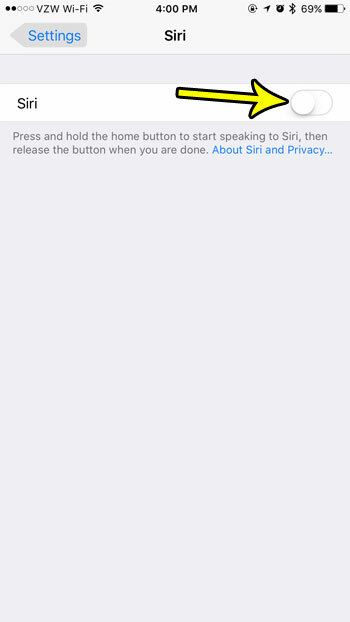 Step 4: Tap the Enable Siri button, noting the fact that this will cause your device to send some information to Apple. It also mentions the info that we stated earlier regarding turning on Siri for the Apple Watch as well. Now that you have Siri enabled on your iPhone, you might want to customize it a bit. Learn how to change Siri’s voice if you would like it to use a different gender or a different accent instead of the one that is currently being used.